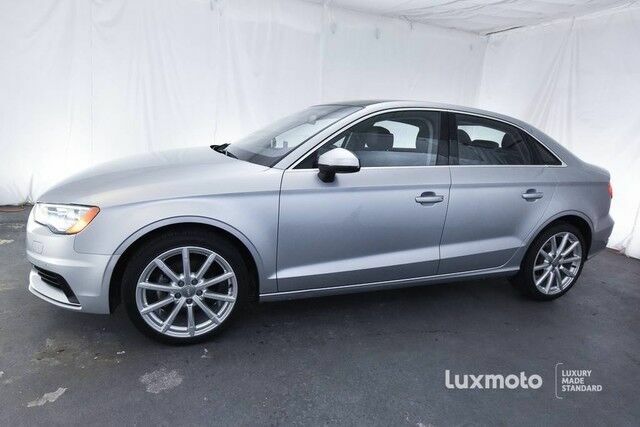 **Carfax Certified 1-OWNER**, **CLEAN CARFAX**, **FACTORY WARRANTY**, Audi A3 Premium TDi, **HEATED SEATS**, **NAVIGATION**, **MOON ROOF**, **BACK UP CAMERA**, **ENHANCED BLUETOOTH**, **SMARTPHONE INTEGRATION**, **MUSIC STREAMING**, **MMI MULTI MEDIA INTERFACE**, Front and Rear Parking Sensors, Xenon HID Automatic Headlights, LED Daytime Running Lights, Tilt/Telescopic Steering Wheel, Dual-Zone Automatic Climate Control and much more. Come check out this Exuberant A3 in our Indoor Showroom. The reinvented Audi A3 is poised to make a big splash in the compact sedan segment. The A3 abounds with attractive athleticism, and it pioneers and technology features such as a 4G LTE data connection and an advanced multi-media interface. Against the likes of the Mercedes-Benz CLA250, it more than holds its own and the overall package makes it hard to ignore. Strengths of this model include Innovative technologies, performance, all-wheel drive, cabriolet, clean diesel and potent sport sedan models, and superior craftsmanship.